Though I'm curing myself of my magazine hoarding affliction, I cannot give up back issues of Victoria magazine. Today, I flipped through some April issues and it struck me that I had to look at the date on the spine to have any idea what year the issue was published. 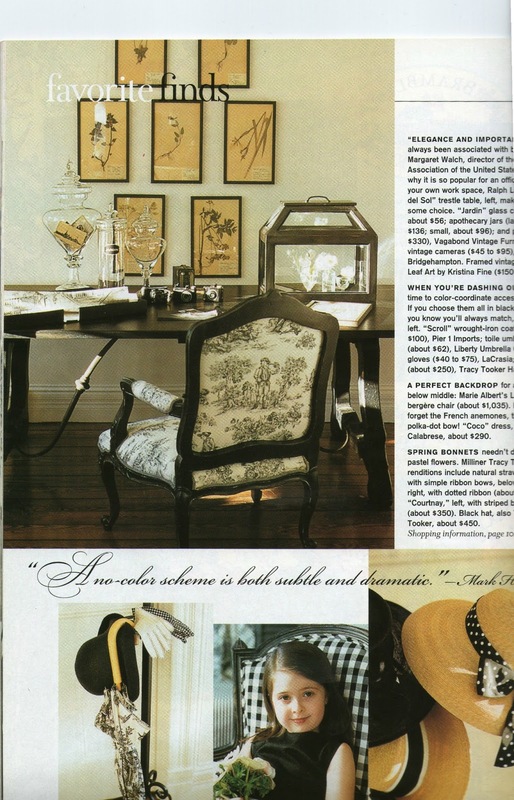 Let's go back a little further to April 2001 and we find black and white toile fabric, a picture grouping of vintage florals, postcards in an apothecary jar and a Wardian greenhouse. The chair and the campaign table are painted black. Oh, and check out the lovely hardwood floor! No matter how far I go back, the simple, vintage look retains it's charm. I took a wee peak at the Victoria models. If I had invested in quality clothing, would the styles be classic or dated? Fashion comes and goes, but simple, natural, honest design is timeless. I'm never giving up those magazines! When I was a kid I used to paw through my grandmothers family circle collection. Some were older then me and its so true, classic looks really are timeless. I still get a lot of inspiration from old magazines. Good taste is always in style! Now, I'm going to go shine my candelabra and start carrying it down the street with me so I look fashionable in whatever I'm wearing!! Good Afternoon Maureen, Oh dear, we are kindrid spirits....I am a terrible magazine hoarder. I always mean to cut out the pictures which inspire me, but somehow never get around to it. I then think it would be a good idea to pass them on....but I don't....but in my defence, I do read them again! I love flipping through old magazines. I have enjoyed your post and have become a new follower. Sending you best wishes from England (loved your Union Jack flag). My addiction is Traditional Home Magazine. I can't even bring myself to clip from them! After five years, I force myself to discard, but I don't enjoy it. Timeless design is just that. Thanks for a good read. Love this post. How awesome to be able to go back that many years and still be in love with all of the ideas in there. Brilliant. I wouldn't give those ones up either!! I love those images and you are so right that all of those could be on a 2013 Pinterest board. That is what I love about good design. That is sooo interesting! This stuff really IS timeless. Sometimes i wonder about all my cottagy stuff, and ponder if it will look really dated in a few years. 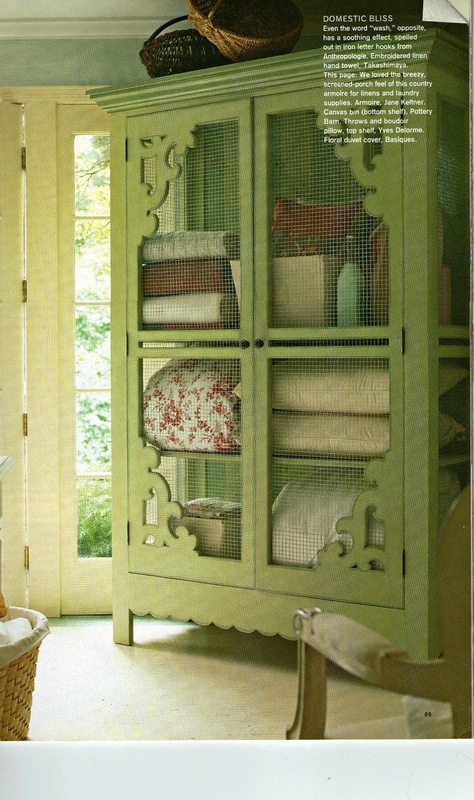 But then i realize, i have loved this look for at least 30 or more years, i mean it gets a little more or less froofroo... but still has the same elements... gingham, toile, chippy wood, cool antiques with great patina, architectural stuff, garden elements. I have some old Victoria magazines too, i'm gonna have to dig them out! So true about 'simple, natural, honest', not only about design, but, I'd say, just about everything!! Victoria magazine for you, (and me), but I've been unable to toss my Canadian House and Home and Style At Home, mostly because they're my little bit of Canada here in Greece! I agree. Classic lines, be it in fashion or design, will always be in style. Wonderful post, Maureen. I, too, loved the old Victoria magazines, but alas, I got rid of all mine. The compares to today are indeed interesting. It's true..what goes around, comes around! So true, timeless! I would have thought they came out of today's magazine. I have old issues of Victoria that I can't part with either. You are absolutely right on all counts (esp. the candelabra ring :)) Some things are just timeless. Great examples of how classic those designs are. Thanks for visiting and for your kind comment! So glad to see vintage is always "in!" It truly is timeless. You chose some wonderful inspirational photos! 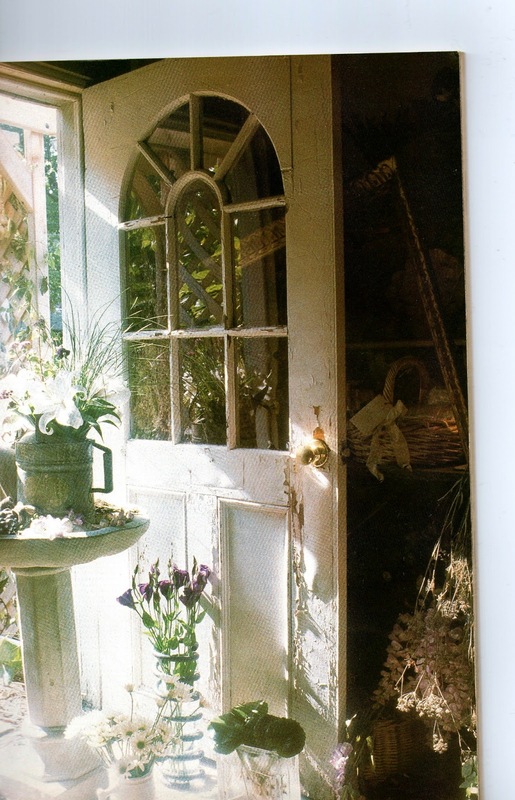 Oh, so love that green cabinet and the chippy white door and the watering can. Great idea ... headed right now to put a galvanized watering can in my birdbath on my (much neglected) front porch for Spring. Thanks for sharing these great decorating ideas with us. anyway...it's true, country or vintage style changes in name only. The look never goes away, I don't think. We Have A Chicken Star!